A lonely man’s affair with an alluring woman threatens to destroy his beloved family. Its 1924, Italian immigrant Luigi Falconi has been away from home for twelve years working as a coal miner in West Virginia to carve out what he hopes will be a better life for his family. After years of separation, his wife, Appollonia, and three daughters leave Italy to join him in America. Just before they arrive, Luigi breaks off an affair with his lover, Isolde. Though she knows from the beginning that Luigi will leave her when his family arrives, Isolde cannot accept his decision to abandon her now that the time has come. While on board the SS Roma as it sails to Ellis Island, Luigi’s eldest daughter, Giovanna, begins her first romance with a member of the crew, Alessandro. When he immigrates to America a short time later, intent on finding her, she has disappeared. No one in the small town of Covel, West Virginia knows why the Falconi family slipped away under the cloak of darkness. Luigi’s jilted lover is also desperate to find them. 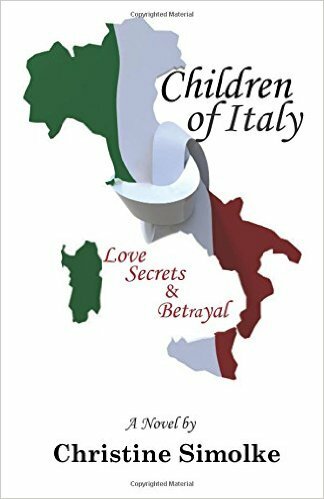 Only Appollonia’s brother, Bernandino, knows where they’ve gone, and he, too, has a secret. As the Falconi family adjusts to being reunited and struggles to assimilate into life in a new country, Alessandro perseveres in his hunt for Giovanna, and his search intersects with the bitter Isolde’s efforts to win Luigi back, with heartbreaking and surprising consequences for all of them.